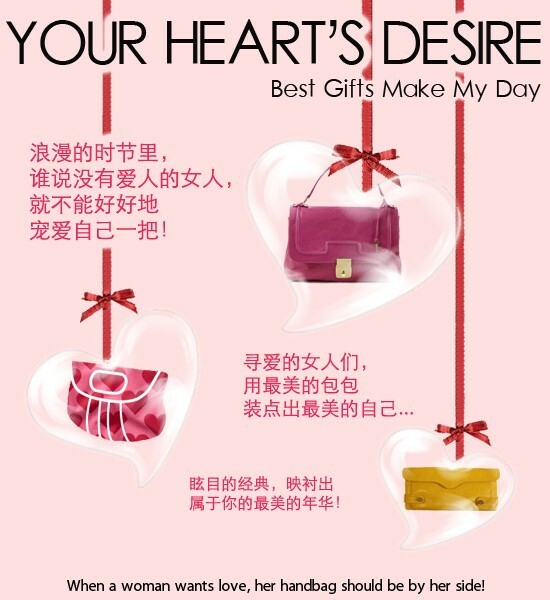 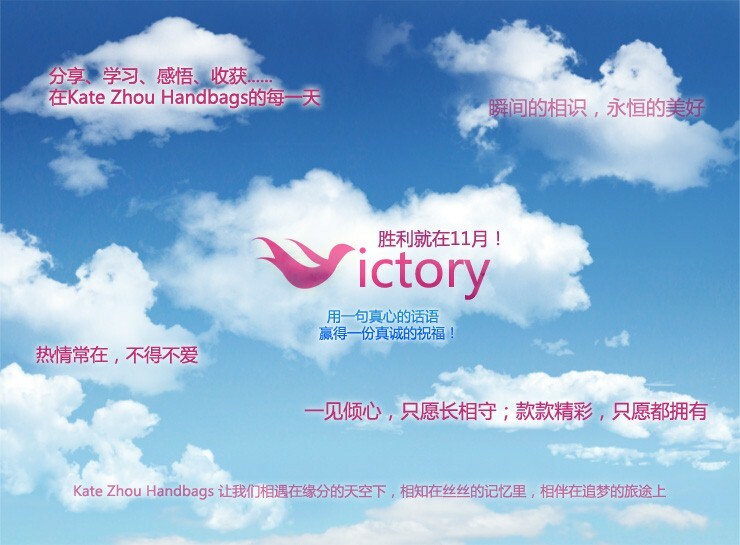 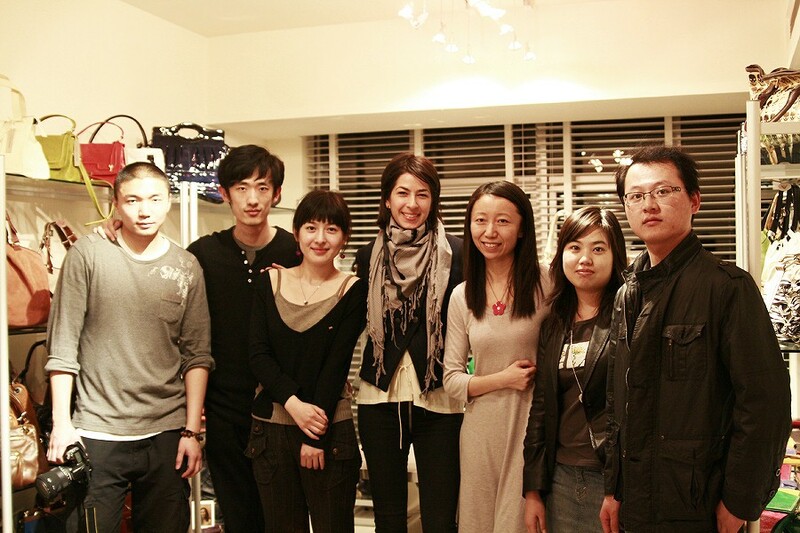 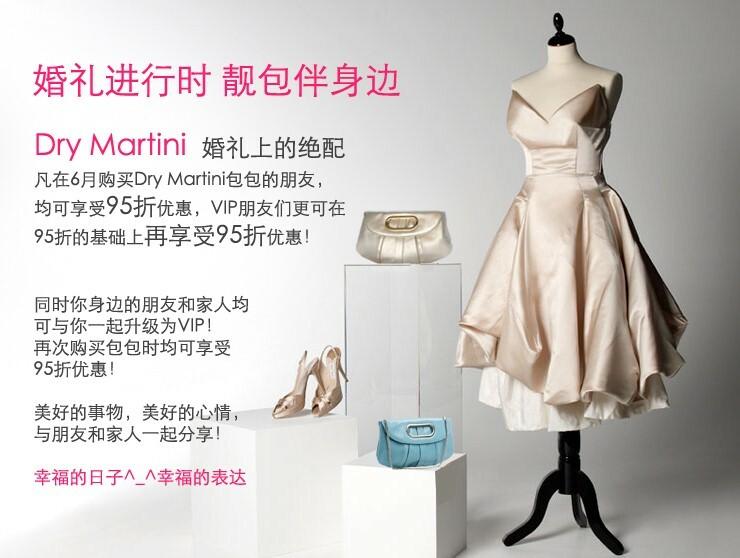 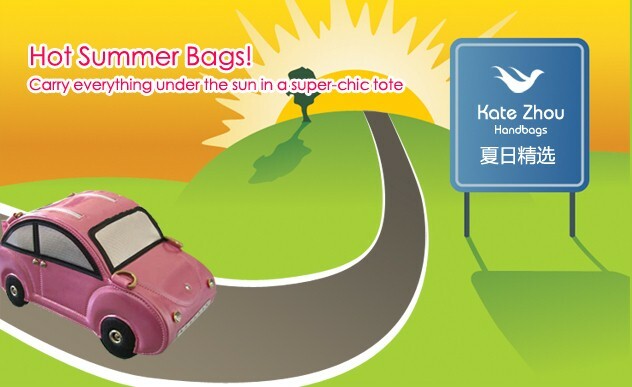 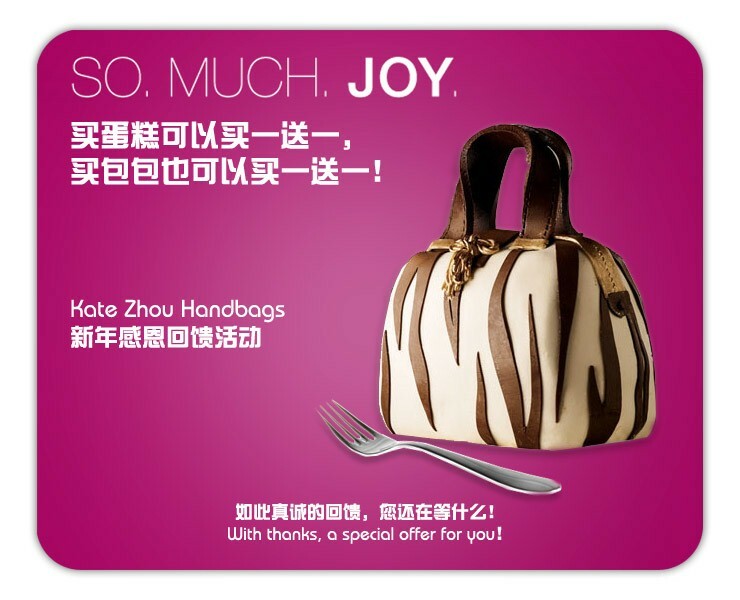 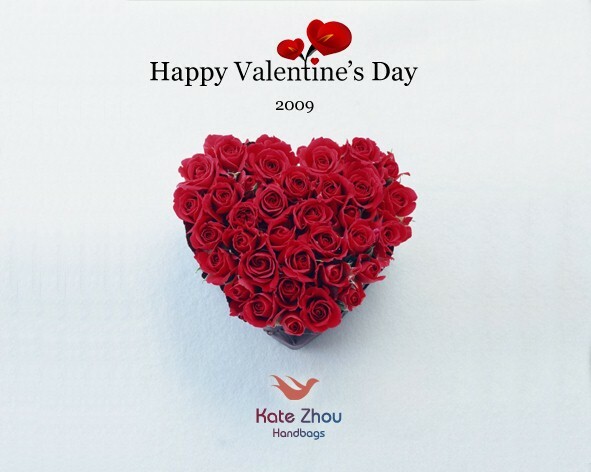 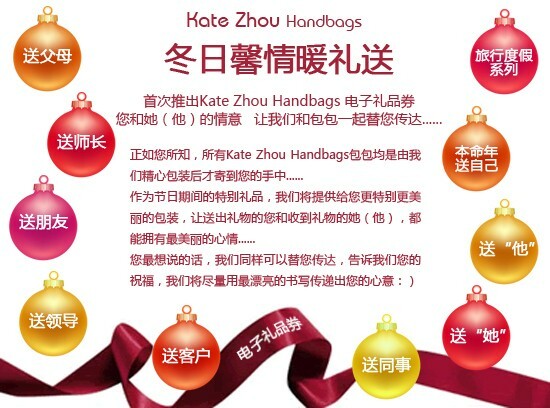 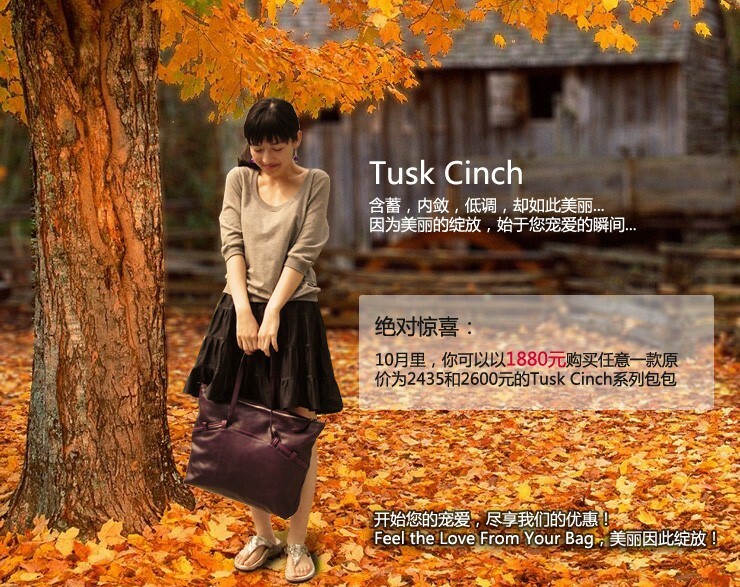 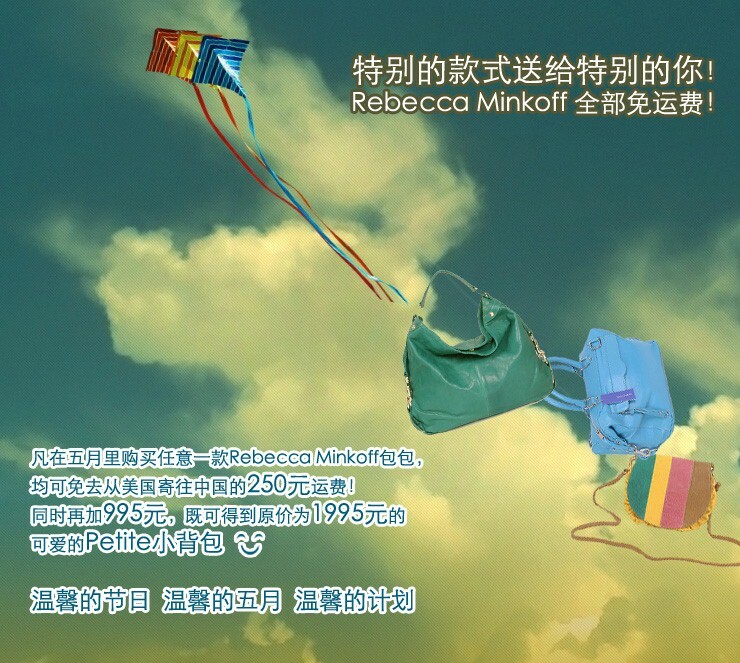 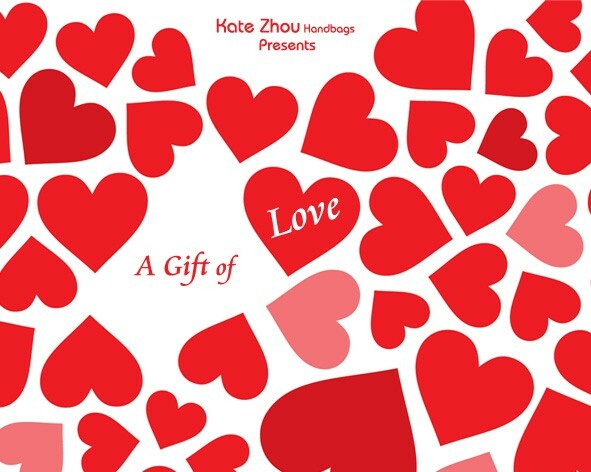 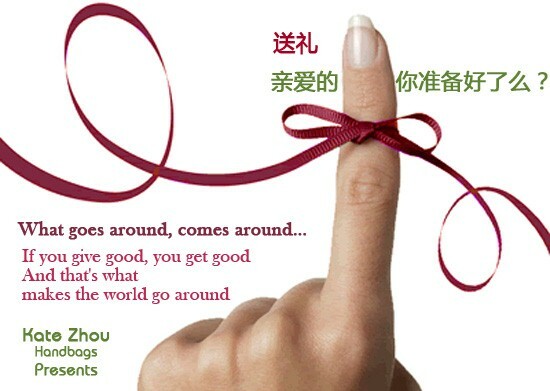 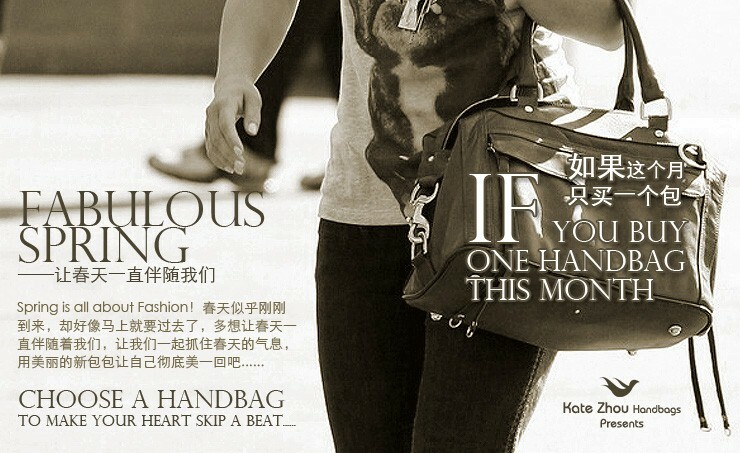 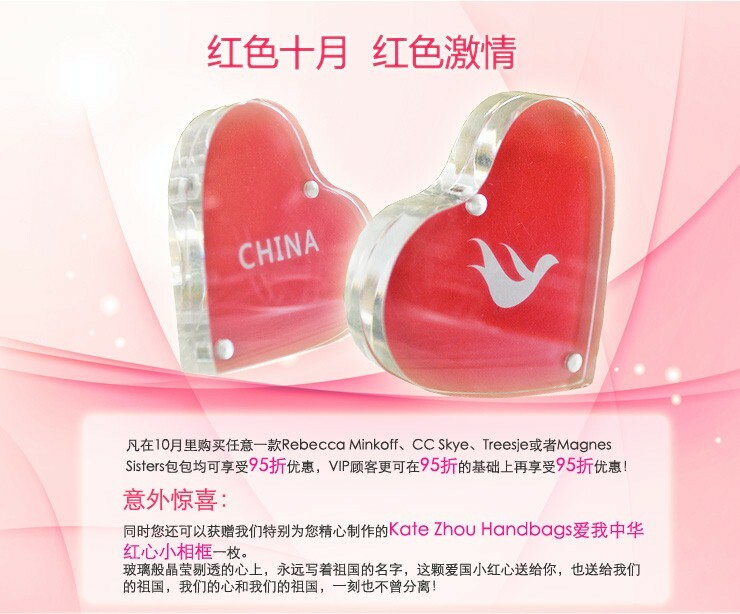 Kate Zhou Handbags is the first and biggest dealer for independent US handbag designers in China. 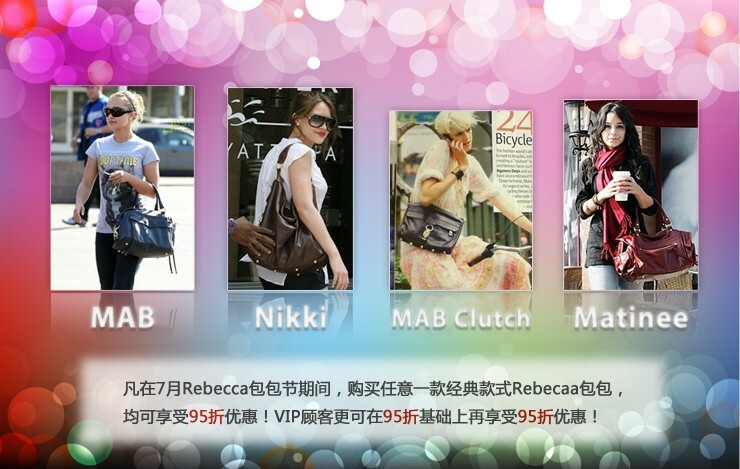 Its partners include Rebecca Minkoff and more than ten other US independent designers. 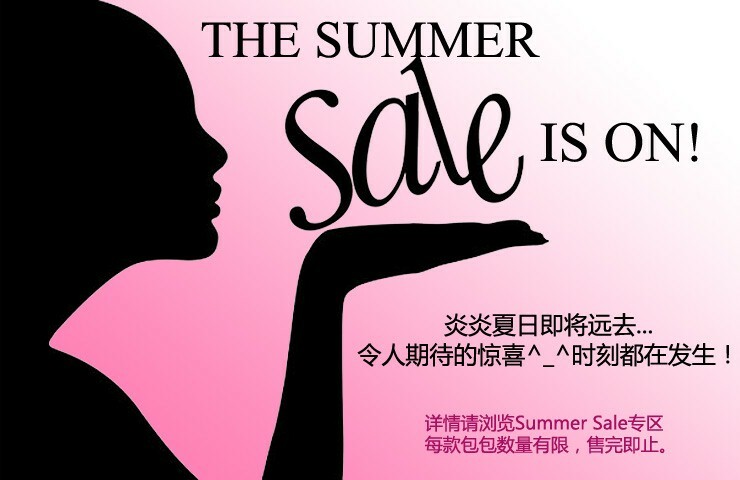 YOY Sales grows by 40% during world economic crises. 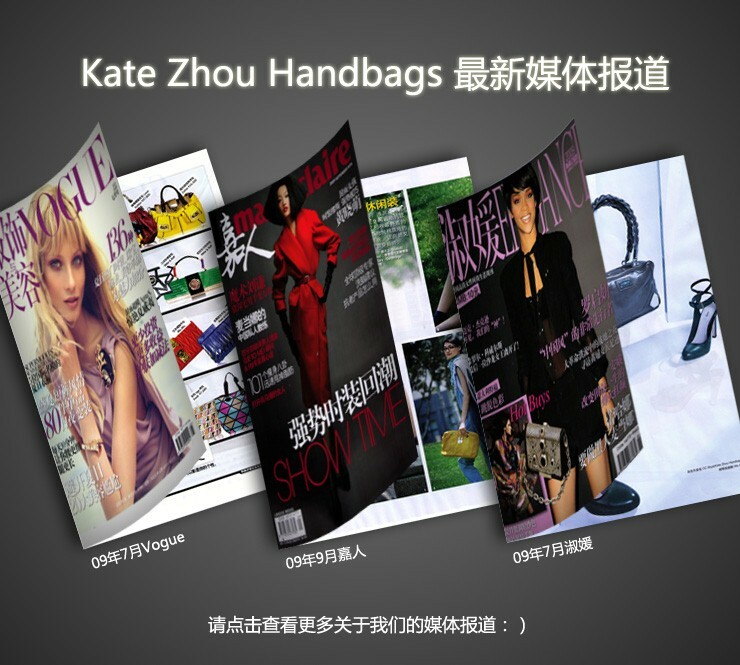 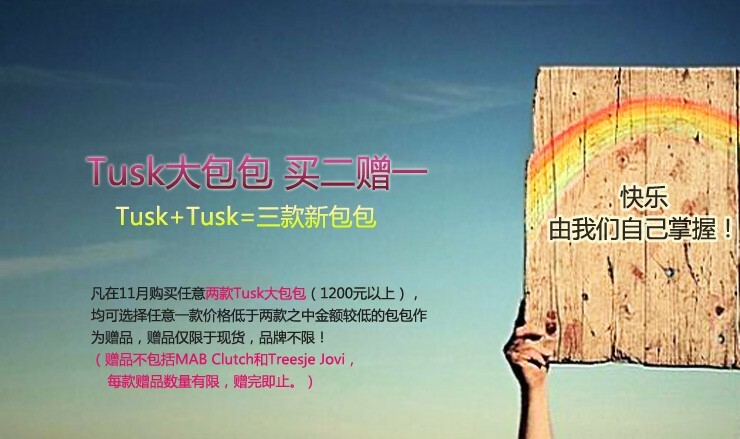 Excellent design skills – No matter 2D or 3D, poster or website, drawing or photography, I am able to design in all kinds of promotion medium perfectly. 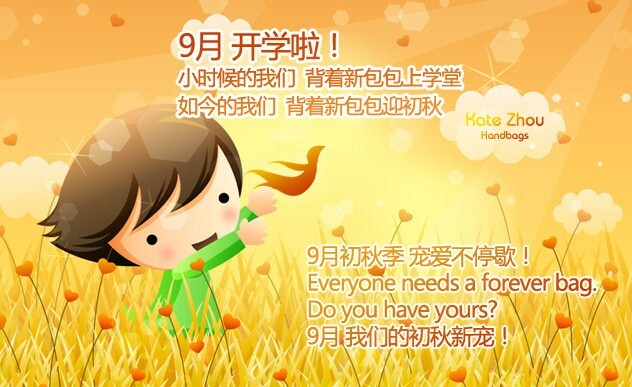 Great teamwork spirit – Cooperate perfectly with manager and salesperson. 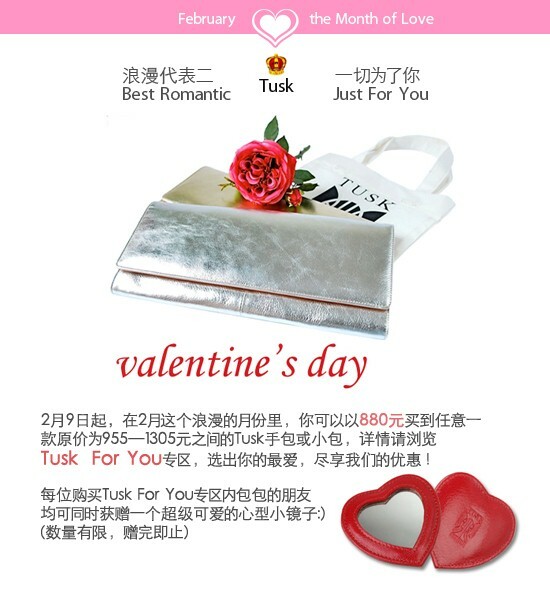 Buy one and get one free, to empty the inventory. 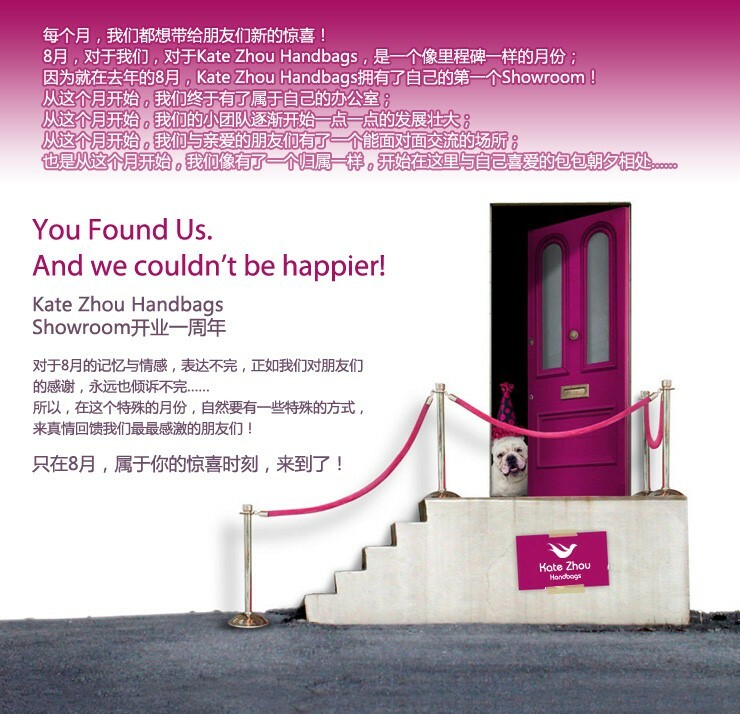 We created a genius plan to express our sincere thanks to our loyal customers. 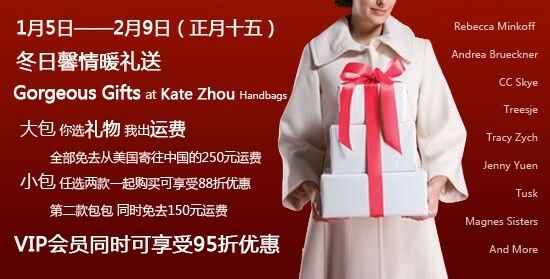 Raised the total sales to an all-time high. 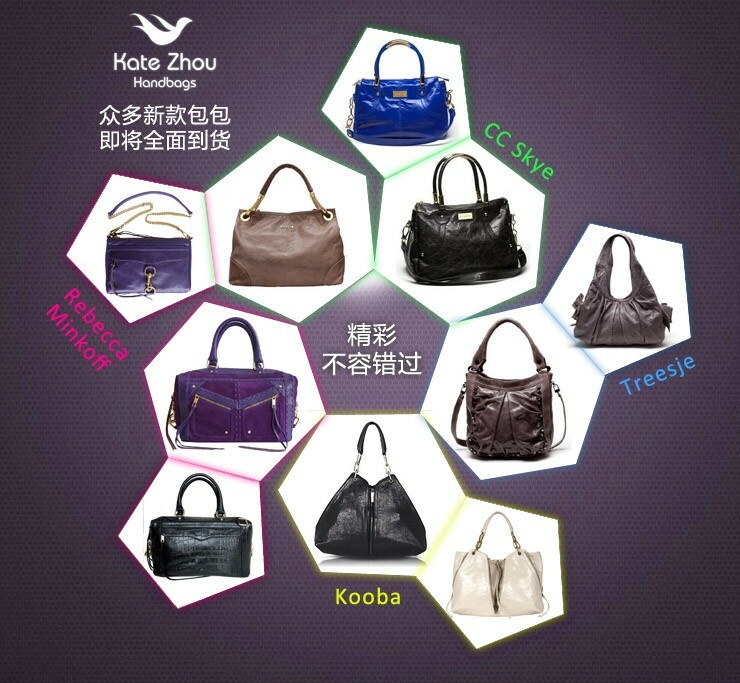 March is the time for a woman packs away her winter gears and clean and treat her handbags. 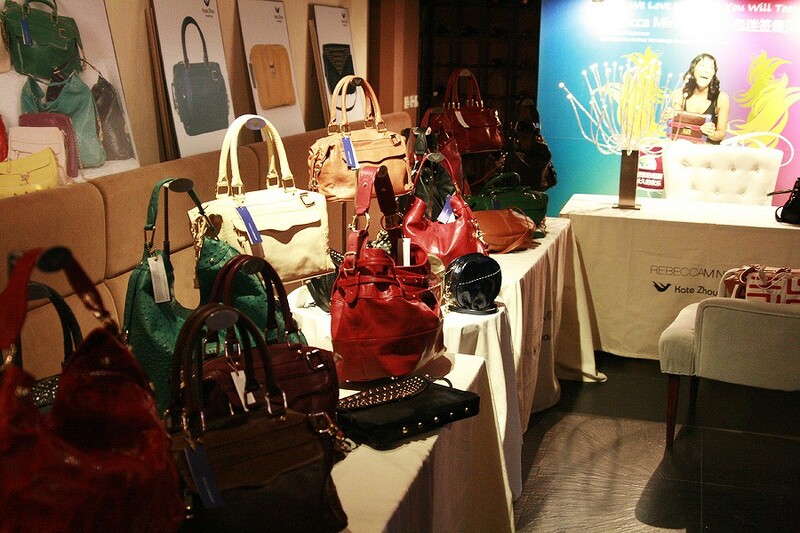 With every RM bag purchased, we give out a leather cream for free. 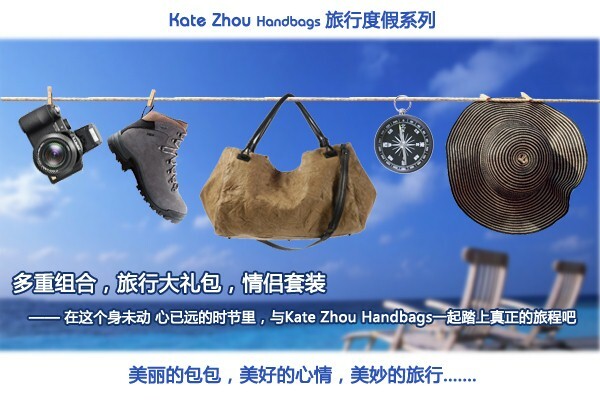 The total sales doubled compared with the sales in January. 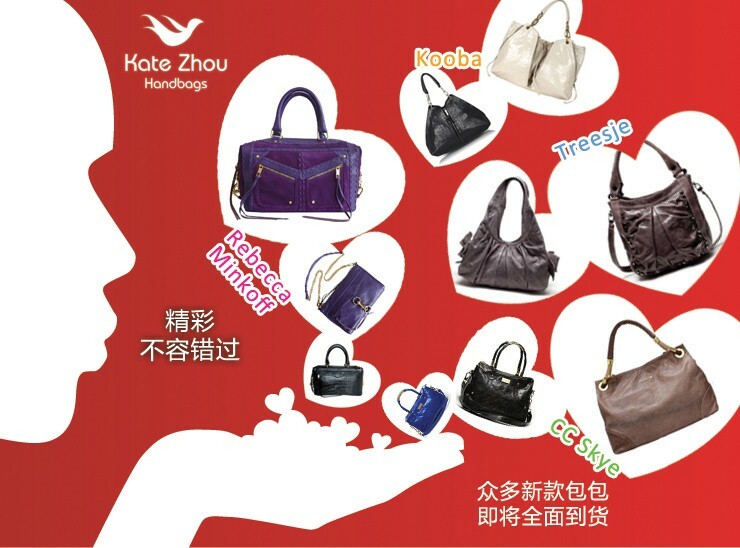 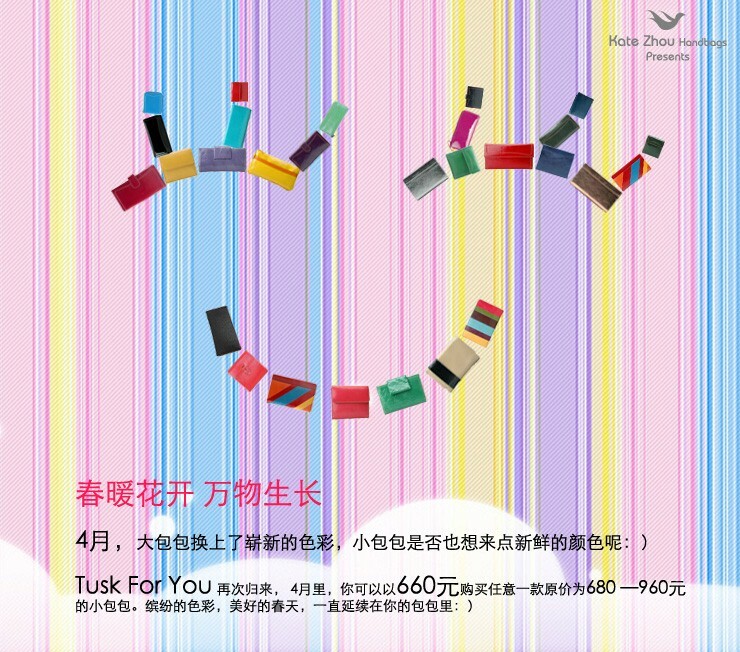 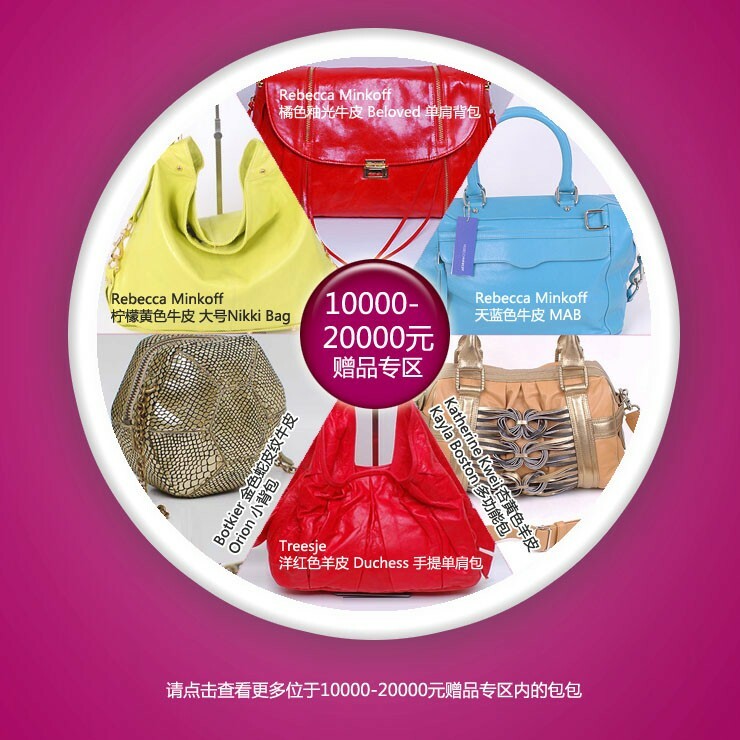 We offer a discount if the costumer buy handbags for herself and for her mother at the same time. 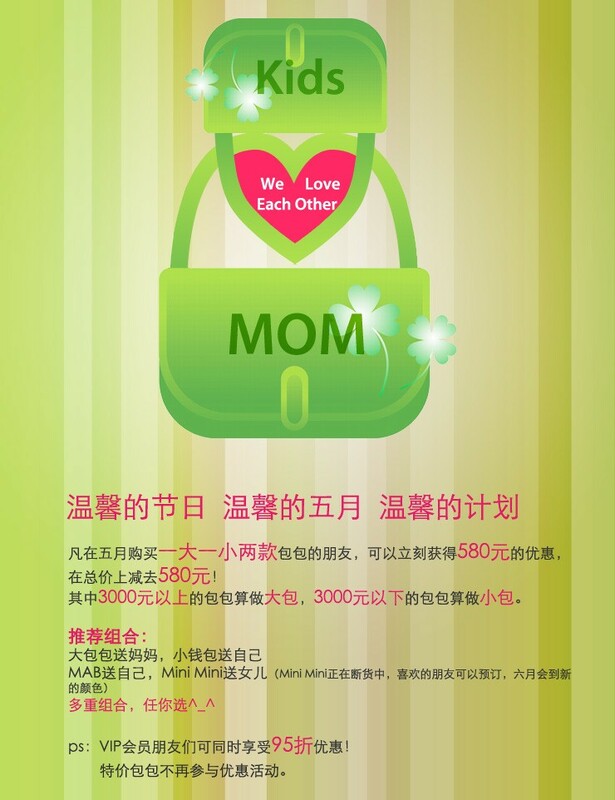 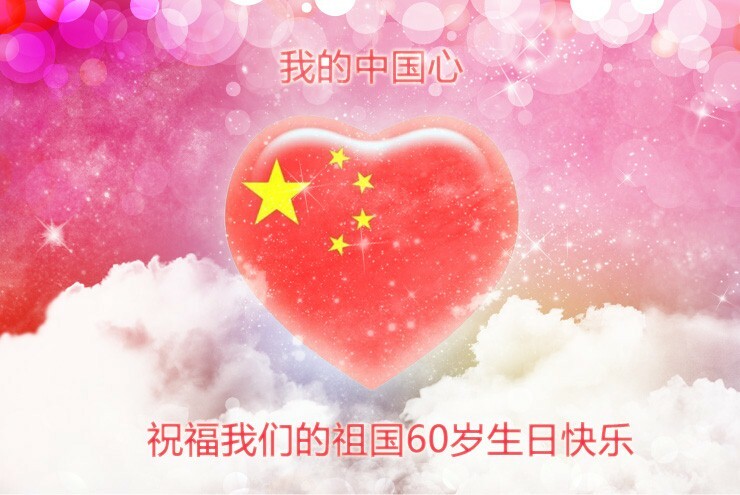 Use the slogan “Mom, I love you!”. 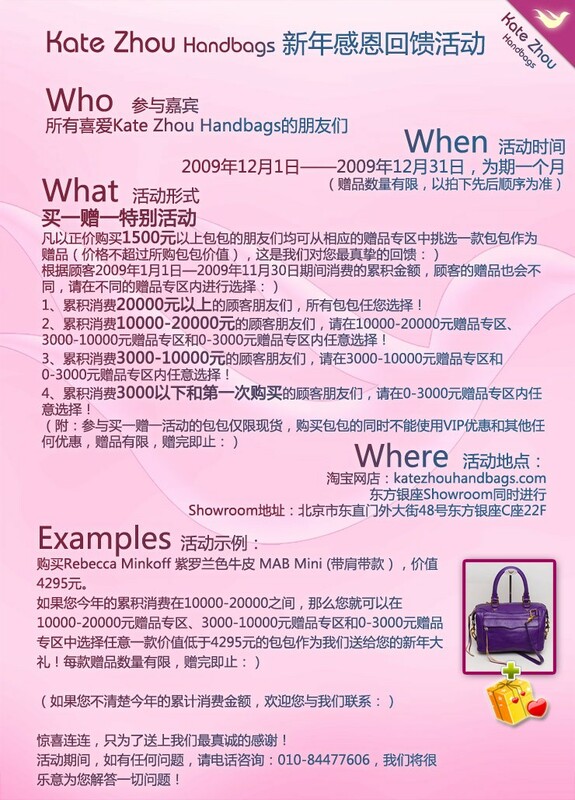 We summarize the fashion bags which accord with the bag trends in this season, in which the most-chosen brand is CC Skye. 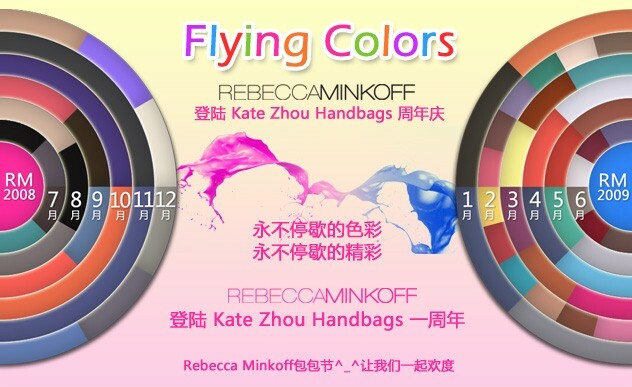 Rebecca came to China for our signing event and we arranged top fashion magazines to interview, including ELLE, Vogue, Marie Claire, Cosmo, Elegance etc. 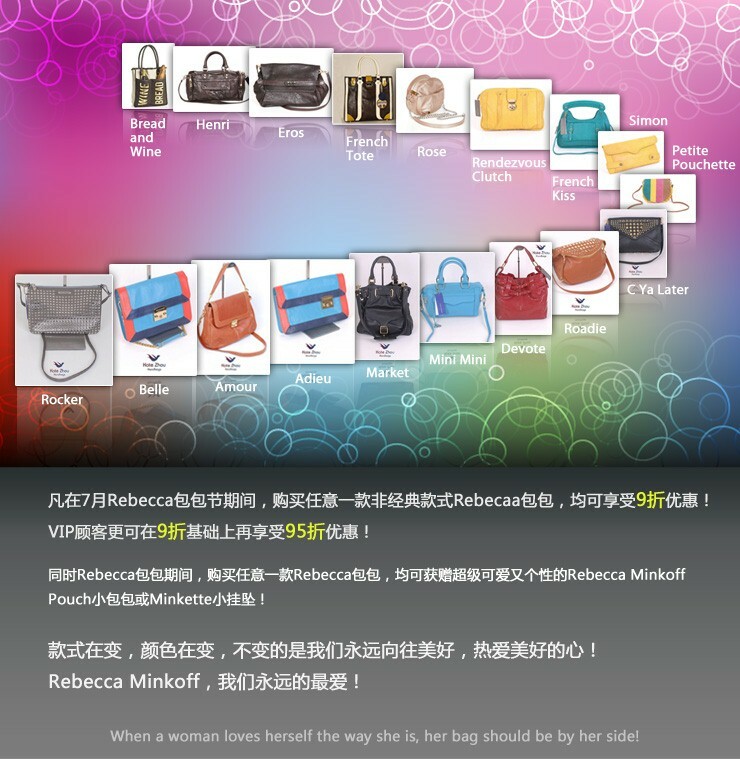 The brand Rebecca Minkoff was soon recognized among most of the fashion people.